On Sunday, September 24th, 2017 the Madison Bach Musicians performed at the Holy Wisdom Monastery, Madison @ 3:30pm preceded by Trevor Stephenson's lecture at 2:45 pm. 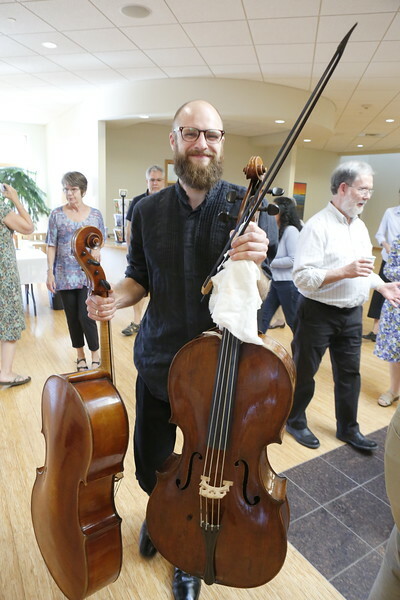 Baroque cellist Steuart Pincombe returned for the season's opening concert. Here are images prior to and during the concert as well as the prairie that surrounds the Monastery.